Today, Microsoft and Code.org unveiled the Minecraft Hour of Code Designer, a coding tutorial for students and educators created for Hour of Code, an annual global campaign held during Computer Science Education Week, Dec. 5-11. 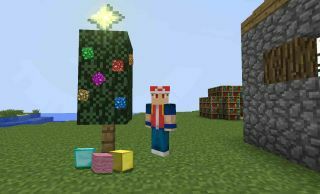 The new web-based tutorial — available for free at http://code.org/minecraft— enables beginner coders to create and share their own simple “Minecraft” game. Designed for ages 6 and up, the Minecraft Hour of Code Designer teaches students to create their own “Minecraft” experience where they can program the rules. They can make chickens that drop gold, or zombies that run away instead of attacking. Along the way, students use Code.org’s familiar drag-and-drop coding interface to learn computer science concepts such as object-oriented programming, event handlers and repeat loops. Players face a series of 12 challenges, culminating in creating their own simple game, which they can share with friends.